Voter turnout in Lebanon's parliamentary election at 49.2 percent, down from 54 percent the last time elections were held. 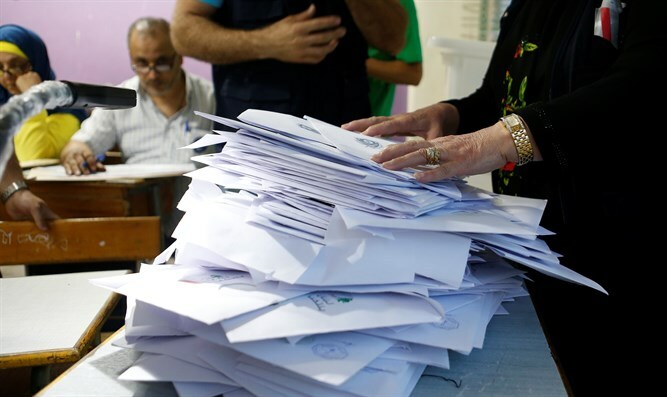 Lebanon on Sunday held its first parliamentary election in nine years. The turnout was 49.2 percent, said Interior Minister Nohad Machnouk, according to Reuters. That number is down from 54 percent the last time legislative elections were held in 2009. President Michel Aoun broadcast an appeal to voters to participate in a televised address an hour before polls closed in the evening. "If you want change, you should exercise your right" to vote, he said in a message published on Twitter at the same time, reported The Associated Press. Sunday’s elections were the first since war broke out in neighboring Syria in 2011, sending over one million refugees to Lebanon. The war has divided the country, pitting parties supporting the Iran-sponsored Hezbollah's intervention in Syria to aid President Bashar Al-Assad against Saudi-aligned parties opposed to it. Official results are not expected to be announced before Monday, noted AP. The result of the election is unlikely to change the existing balance of power among the major political factions in Lebanon, where Hezbollah is a major political force and is a member of Prime Minister Saad Hariri’s cabinet. Hezbollah and its allies are expected to add more seats following Sunday’s vote, noted AP,while Hariri was likely to lose several. Some of his Sunni supporters saw him as being too soft on Hezbollah, and the billionaire businessman also faced criticism after laying off dozens of employees from his companies in Lebanon and Saudi Arabia. Still, Hariri is most likely to be named to form a national unity Cabinet after the vote. The rival sides are expected to recreate the unity government that currently exists. Despite being a member of the Lebanese parliament and cabinet, the United States considers Hezbollah a "terrorist" group and many criticize it for suppressing dissent in areas under its control. In a press conference with Hariri last July, President Donald Trump called Hezbollah a threat to the entire Middle East and accused the group and Iran of fueling a humanitarian disaster in Syria. "Hezbollah is a menace to the Lebanese state, the Lebanese people and the entire region. The group continues to increase its military arsenal which threatens to start yet another conflict with Israel... With the support of Iran, the organization is also fueling humanitarian catastrophe in Syria," he said. The European Union has blacklisted Hezbollah's “military wing” as a terrorist organization, while failing to blacklist the group’s political arm. Members of Congress in the United States have urged the EU to designate all branches of Hezbollah as a terror group – a demand which makes sense given that Hezbollah parliamentarians have been caught on camera calling for terror against Israelis.